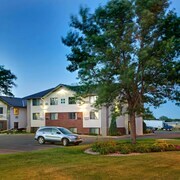 Situated in Aberdeen, this hotel is 2.7 mi (4.3 km) from Dacotah Prairie Museum and within 9 mi (15 km) of Wylie Park and Storybook Land. 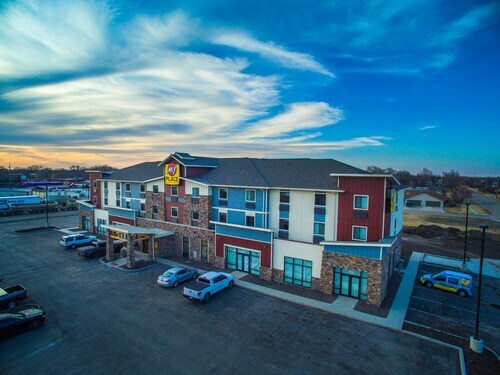 This family-friendly Aberdeen hotel is located near the airport, within 2 mi (3 km) of Wylie Park, Storybook Land, and Dacotah Prairie Museum. 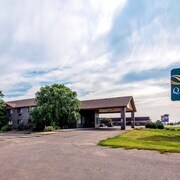 Situated near the airport, this hotel is 2.4 mi (3.8 km) from Dacotah Prairie Museum and within 6 mi (10 km) of Wylie Park and Storybook Land. 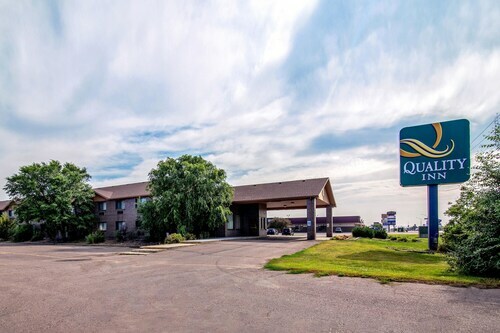 Situated near the airport, this hotel is 2.1 mi (3.4 km) from Dacotah Prairie Museum and within 6 mi (10 km) of Wylie Park and Storybook Land. 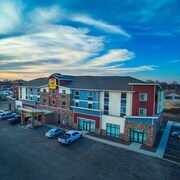 Situated in Aberdeen, this hotel is 2.6 mi (4.2 km) from Dacotah Prairie Museum and within 6 mi (10 km) of Wylie Park and Storybook Land. 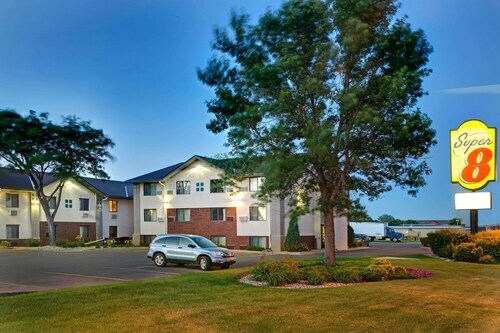 Located in the heart of Aberdeen, this hotel is 2.3 mi (3.7 km) from Dacotah Prairie Museum and within 6 mi (10 km) of Wylie Park and Storybook Land. It’s not a family vacation if you can’t bring the entire clan with you, is it? Next time you have a few days off from work, plan a family-friendly getaway. 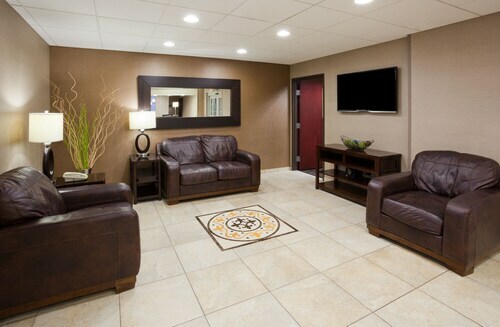 Set off on an adventure the entire family will love, and book your stay at one of the kid-friendly hotels in Aberdeen. Your little ones are the most important thing in your life, so make sure they enjoy your accommodation as much as you do. From a kids-only room service menu (macaroni and cheese, anyone?) to special perks like in-room video game consoles, these lodgings provide a little something extra for the smaller members of your crew. The best family-friendly hotels in Aberdeen may even offer playgrounds and other activities to keep the kiddos busy. What’s more, some hotels provide a babysitting service so you can get a few hours to yourself! Whether you’re traveling with one small child or hauling around your entire extended family, Travelocity is here to help. 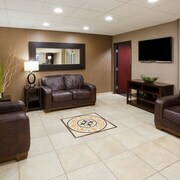 Let us hook you up with hotels for kids in Aberdeen that will keep your youngsters happy without breaking the bank. You can save even more when you bundle your flight and hotel together, so what are you waiting for? Grab your family and get ready to explore! Staff were very friendly and attentive. Could not ask for better service! Hotel was first in the Super 8 chain, built in 1975, so older place. Staff was nice. Had noisy toilet that squeaked all night. Told hotel personnel about it following morning and they told us a repairman had been called, Was gone the entire day and returned late at night. Again, toilet was squeaking all night. Complained the next morning and was told we could be moved to another room, but repairman had been called. Repairman came and fixed toilet, replacing parts. Seems he had job washing 90 windows at another location and unable to come over the previous day. Nice hotel. Highly recommend. Hotel was nice and quiet. Comfortable beds. Nice bathrooms. We checked out of room 105 on 8/6/2016. When we walked in the room, the air was on, but obviously not working properly as it was very humid in the room. We toughed it out, only to be kept awake all night long off and on by the air conditioner fan banging and clanging. Then the refrigerator started in and was so loud that my husband had to get out of bed in the middle of the night to unplug it from the wall. We contemplated getting up at 5am and just driving home to go back to bed. To make matters worse, the alarm clock went off at 7am. When we checked out we let the front desk person know how disappointing the nights stay was, hoping for at least a partial refund of the almost hundred and a half we paid, only to be offered 5,000 rewards points. Very disappointed and wont be staying there again. Come Stay at the Lake!!! Perfect for Your Weekend Getaway or Family Gatherings!